We’re bringing a summer favorite to your table this fall season! Margaritas are a well-known cocktail and a favorite among many during the hotter months of the year. 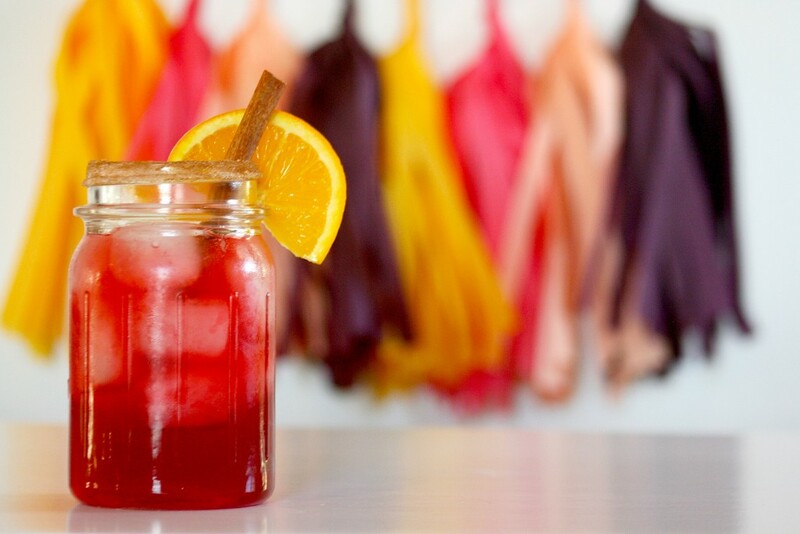 But with just a bit of tweaking, this cocktail can also be turned in a fall staple! The hibiscus and cinnamon give it a tart and rich flavor that works well for the changing weather. Make sure you have a cocktail shaker to complete this recipe successfully. You can purchase syrup at your local liquor store, but we also have a recipe that you can use to make it at home. Coat the rim of the cocktail glass in the cinnamon sugar. You can do this by using the lime juice to help the sugar stick to the glass. Add ice to your cocktail shaker. Add in all ingredients into the cocktail shaker and shake vigorously. Serve the cocktail over ice in the cinnamon-rimmed glass. We recommend using an orange slice or lime wheel for your garnish! You’ll be the talk of the party with this amazing and delicious margarita. Even non-tequila drinkers will be asking for one! Cheers! The post Hibiscus + Cinnamon Margarita appeared first on The Flair Exchange®.